Pell grants are available to undergraduates who have not yet earned a bachelor's degree. The grant is based on financial need and the number of credit hours for which you are enrolled on the last day of the add/drop period. The award amount listed on your award letter is always based on full-time enrollment. (All students must complete the Free Application for Federal Student Aid - FAFSA) Pell grant award amounts can change yearly, but Pell Grant awards for the 2018-2019 award year (July 1, 2018 to June 30, 2019) range from $650 to $6,095. A federal aid program that is awarded to undergraduate students who show the greatest financial need, are registered at least half time, and are working on their first bachelor's degree. Priority is given to students who receive the Federal Pell Grant. A student can receive between $100 and $1000 an academic year, depending on your financial need and the institution's funding level. Allocation of funds is at WVNCC's discretion, and awarding is based on need and applicaiton date along with the other criteria listed above. A federal loan program that is awarded to students who show financial need and are registered at least half-time. WVNCC participates in the Federal Direct Loan Program. Repayment begins six months after leaving school or dropping below half-time status. A fixed Interest rate is established July 1st of each year for the upcoming aid year. Click on the Federal Direct Loan link above for more information. Federal Direct Subsidized Loan - Students may apply for a student loan if they are enrolled or have been accepted for enrollment at least halftime (six credit hours). Students who qualify for a subsidized loan will have the interest on the loan paid by the Federal government while enrolled in school, and during the six-month grace period after their last date of enrollment or during an eligible deferment. Repayment begins six months after the student graduates, withdraws from college, or does not enroll at least half-time; students may be allowed up to ten years to repay. Federal Direct Unsubsidized Loan - Independent students who do not qualify for the maximum subsidized loan limits may borrow the difference, plus an additional amount of up to $4,000 under this program. 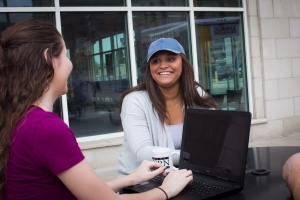 Students are responsible for the interest while enrolled in school, during the six-month grace period after their last date of enrollment, or during an eligible deferment. Repayment begins six months after the student graduates, withdraws from college, or does not enroll at least half-time; students may be allowed up to ten years to repay. PLUS loans are federal loans that parents of dependent undergraduate students at WVNCC can use to help pay for college. PLUS loans can help pay for education expenses not covered by other financial aid. The maximum loan amount is the cost of attendance (financial aid budget as described on the student's award letter) minus other financial aid received. If the student has already filed the FAFSA, a parent can apply for a PLUS loan on StudentLoans.gov. Promise Scholarship - A merit-based scholarship for qualifying WV high school graduates. Engineering, Science and Technology Scholarhship - A scholarship available to qualified students interested in pursing an education in engineering, science, or technology. West Virginia Higher Education Grant - A need-based grant awarded on the basis of financial need for full-time students. Deadline to file the FAFSA is April 15th each year. Higher Education Adult Part-Time Student (HEAPS) Grant Program - A need-based grant for students enrolled on a part-time basis (3 - 11 credit hours). Eligible applicants must have lived in WV continuously for a minimum of 12 months immediately preceding the semester applying for HEAPS. Awards are on a 1st-come-1st-serve basis since funds are limited per institution. Gift aid based on academic performance, talent, or achievement. Scholarships are offered by WVNCC, WVNCC Foundation, and many outside organizations/associations.